TODAY, VERA TWOMEY met with Health Minister Simon Harris to discuss access to medicinal cannabis for her daughter Ava, who suffers from a severe form of epilepsy called Dravet syndrome. The condition can cause Ava to suffer up to 20 seizures a day, and her mother has been campaigning for a change in the law to allow her daughter access medicinal cannabis. Earlier this week, Twomey released a harrowing video of Ava suffering a seizure to TV3 and, today, spoke to Ray D’Arcy on RTÉ radio following her meeting with Harris, where advocates Gino Kenny TD and Anne Rabbitte TD were also in attendance. “It’s not a registered medicine in Ireland, but it certainly is a medicine for what it’s done to change Ava’s life,” she said, telling D’Arcy that once she started giving Ava cannabis-based products, her seizures reduced to around a handful a month. Ava is also starting to perform much better in school since the seizures reduced in frequency, with the CBD oil costing around €300 a month. What we want from the Minister is the opportunity to get medicinal cannabis on prescription from our doctor. She has conveyed the severity of Ava’s condition to Minister Harris before today’s meeting, and warned him again today that the seizures could eventually cause brain damage to Ava or could even result in death. Twomey added that, despite the high profile that Ava’s case has garnered in recent months, nothing had really been done to change the situation she was in. When Twomey and her husband, Paul, released the video to TV3, they said they had reached their “last straw” and felt like they badly needed something to be done. She said Harris had acknowledged he’d watched it in their meeting today, saying it was “difficult to watch”. 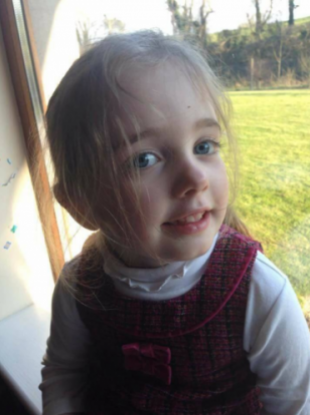 An application for Ava to access medicinal cannabis on compassionate grounds was denied on the basis that they did not have a paediatric neurologist who would sign off on the use of such products for her. A lack of evidence on the effectiveness of medicinal cannabis was also cited by the HPRA in their recent report. The Department of Health issued a statement after Harris’ meeting with Twomey, today, where he reaffirmed what he said when the HPRA report was released two weeks ago, namely that a pilot access programme for cannabis-based treatments would be rolled out for patients with specific conditions, including severe epilepsy. The statement adds that, “until such time as the necessary legislative amendments has been made to facilitate the implementation of the Cannabis Access Programme, it remains open to the Minister to consider granting a licence to an Irish registered doctor for access to medicinal cannabis for named patients”. Twomey said that she had been told in the meeting that they needed a consultant neurologist, not just an “Irish registered doctor” to apply for this licence and that, without that, they had no other option. I’m done for, because I don’t have that and I can’t get that for Ava. This isn’t fair. With their neurologist not able to currently prescribe it, there’ll have to be legislative change to let a neurologist prescribe it, she said. People elsewhere can get this for their children. If I don’t get some kind of answer for Ava, she’s not going to be around… I’ve done everything I can, and I don’t know what more I can do. People sent messages to the show offering to help pay to send Ava abroad to get access to the medication, but Twomey said she didn’t want money and would rather people emailed Simon Harris to ask him to change the laws in this matter. Email “'I'm done for, because I can't get that for Ava': Vera Twomey makes heartfelt plea in radio interview”. Feedback on “'I'm done for, because I can't get that for Ava': Vera Twomey makes heartfelt plea in radio interview”.